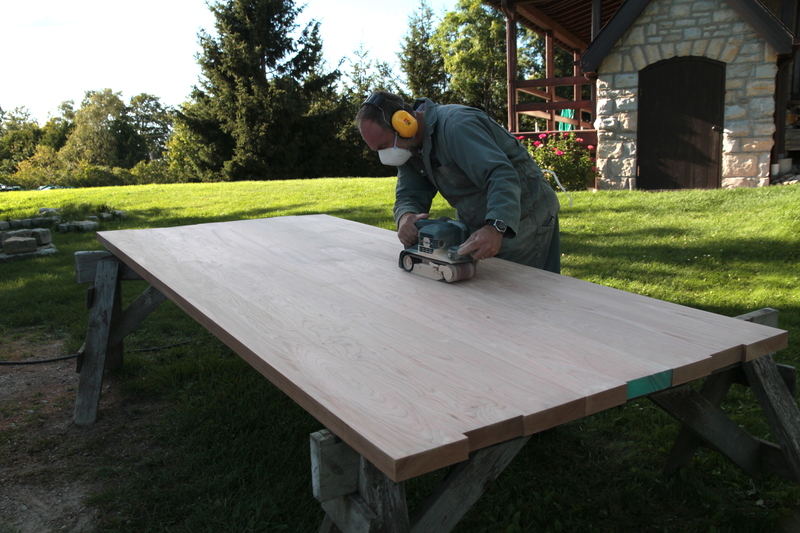 Building a table is one of the most deceptively simple woodworking projects going. What could be easier than gluing up a few boards and applying a finish, right? But reality is often surprising, because building a top for that table can go wrong in ways you might not realize until it’s too late. Here are my favourite tabletop construction tips, plus advice on how to avoid trouble. A piece of 1/2” plywood offers the best approach for determining the optimal size and shape of your tabletop because it lets you test and tweak various options in 3D. Cut the plywood to the maximum size you might want, set it up on something in the place where the finished table will go, then live with it for a while. Should the top be narrower? Shorter? Now’s the time to find out. Saw some off your plywood mock-up if need be, then live with the new size until you’ve found the sweet spot. 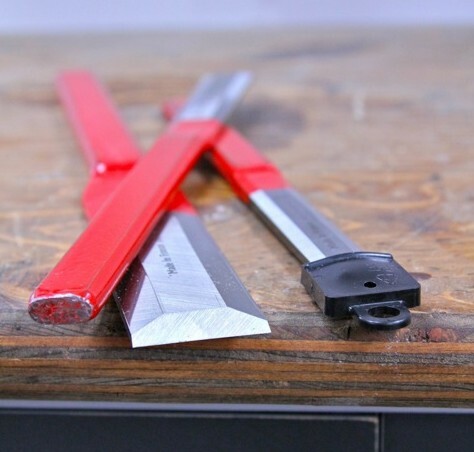 Crisp, tight joints are key to any great tabletop, and this is where the jointer comes in. Get help supporting boards longer than about five feet as you work. Also, if some joints don’t come together tightly, despite your best jointing efforts, try moving the boards to new locations if grain patterns permit. Some edges just naturally fit together more tightly than others. Don’t own a jointer? Pieces of planed lumber sometimes fit together just fine without jointing. Try different boards as neighbours to see which ones get along the best. Even a small tabletop presents a challenge if the boards you glued together have stepped-shaped misalignments where they meet because of warping. Yes, you can sand these off, but the more topographical sanding you need to do, the less flat and regular your finished tabletop will be. The flatter and better aligned your boards are when they’re in the clamps, the happier you’ll be later. This is where end clamps and gluing cauls can help. With all boards sitting in your main pipe clamps ready to come together under pressure, apply smaller clamps across each joint at all board ends. This aligns the boards perfectly, at least at the ends, anyway. Depending on how your boards behave along the rest of their length, you may or may not need cauls. These curved pieces of wood get clamped across the glue-up, top and bottom, aligning the boards vertically and minimizing steps between them. I use 1” x 4” lengths of hardwood for cauls, with one edge planed to a curve so the ends measure about 2 1/2” wide. 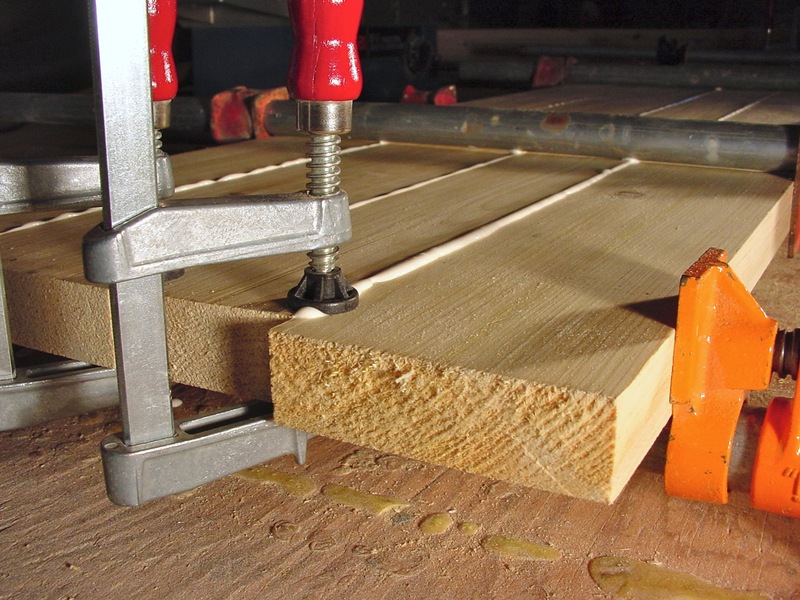 Even with the most careful glue-up job, there will be at least a little board-to-board misalignment when your tabletop comes out of the clamps. This is where cross-grain sanding helps. With an 80-grit abrasive in your belt sander, level your tabletop by working across the grain instead of parallel to it. This removes wood more quickly, making it easier to create flat results. Move to parallel-grain sanding with the 80-grit belt when all joints are flat, then switch to 120- and 180-grit belts, also run parallel to the grain. Tabletop edges take a lot of wear, and rounding them helps the finish on edges to last longer. Even if you prefer the look of a square-edged tabletop (as I do), rounding over with a modest, 1/8” radius router bit does a lot to extend finish life. Like all woodworking success, building a tabletop depends on properly completing each step before moving on. 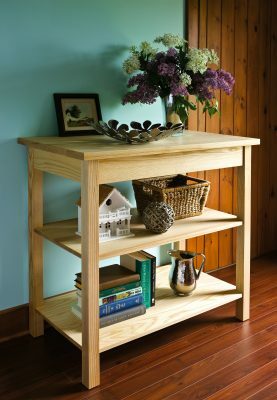 The only difference is that tabletops are probably the most obvious and prominent woodworking you’ll ever do. All the more reason to get things right. 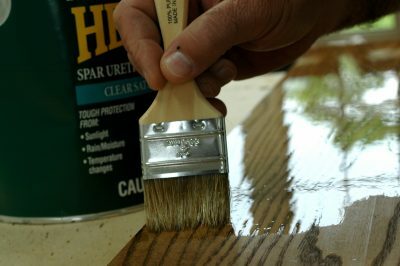 Click to watch a little-known trick for buffing polyurethane wood finishes. You’ll be amazed at the glass-smooth results you can achieve.